At number nineteen, Estes Express Lines barely cracks the top twenty largest trucking companies in North America. And yet, Estes trucks are responsible for their fair share of truck accidents. Estes is a family-owned company based in Richmond, Virginia. The company has more than 16,000 employees. It maintains a fleet of more than 32,500 tractors and trailers. Most crashes involving Estes Experss vehicles occur along the Eastern I-81 corridor, concentrating in the South and Mid-Atlantic regions of America. In the past two years, Estes' 6,673 drivers have caused a total of 462 accidents. In Maryland alone, 17 Estes vehicles crashed from 2012-2017. In large part, these dramatic statistics result from global changes in the trucking industry. Estes Express is not all bad. The company has been in business for 85 years. Estes supports clean energy and seems to try to keep pace with the latest trucking safety features like electronic stability control and forward collision avoidance alerts. But the company is still subject to the same growing pressures that affect trucking companies across America. Motor carriers must figure out a way to meet ever-faster delivery expectations. At the same time, their workforce is depleting. Commercial truck driving used to offer a great work environment, but in the face of new challenges, companies have started to hyper-focus on the numbers at the expense of employee satisfaction. For Estes in particular, their drivers are constantly pushed to "hurry, hurry, hurry," and then they are blamed when careless accidents inevitably occur. Some Estes drivers complain that most memos are filled with disciplinary threats, and management doesn't seem to care about their well-being. One driver had been working with Estes for twenty years when he was terminated for a dispute over $64. At the end of the day, Estes is responsible for the drivers they hire and the working environment they create. If an Estes vehicle causes a crash, Estes is liable for the resulting damages. Massive, heavy Estes tractor-trailers tend to cause more damage than the average passenger car in an accident. Estes claims adjusters do not shy away from the larger dollar amounts that accompany tractor-trailer collisions. These adjusters are accustomed to seeing bigger compensatory damages. This is very different from most car insurers who tend to throw around nickels like manhole covers. On a psychological level, the jury's implicit biases can have an impact on settlement value. Even though an accident case against Estes would not likely involve a significant liability dispute, the fact that the defendant is a large, faceless corporation could affect the jury's decision making. In theory, juries should determine the appropriate amount of money damages that would help make victims whole again, regardless of the defendant's identity. But in reality, juries often feel sorry for the sweet old grandfather. They fear he might not even have insurance (juries are not told there is insurance). In contrast, few people going to feel sorry about Estes taking a hit for a truck accident the company's driver caused while trying to make a profit. What Else is Different About a Claim Against Estes? There are so many more tools that can be used to determine fault and severity in a tractor-trailer accident case than in a standard vehicle accident case, but not every lawyer knows where to look. Even attorneys who regularly handle car accident cases may not be aware of the complicated, overlapping state and federal regulations that apply to trucking companies. Many tractor-trailers, for example, are required to carry monitoring equipment that can track and store information about the vehicle's speed, airbag deployment, braking, and many other variables. These data can help victims determine whether Estes was at fault for the crash, if they have an informed and qualified attorney. On our website, victims can find a variety of tools to help predict the potential value of their claim. It is most helpful to look at the settlement value for similar accident types, or better yet, similar injuries. The list, below, of sample settlements and verdicts involving Estes is another helpful, albeit limited, tool. These cases, in very general terms, can give you an understanding of how settlement value can vary in different jurisdictions, for different injuries, or with different economic losses. 2017, Tennessee, $45,500 Settlement. The plaintiff, along with her three children and one grandchild, were driving in a vehicle rear-ended by an Estes tractor-trailer. The impact caused the plaintiff to sustain injuries to hear head, jaw, back, elbows, hips, and legs. Her children and grandchildren suffered various injuries to their necks, backs, shoulders, legs, knees, ankles, and abdomens. The settlement includes damages for pain, suffering, emotional distress, and each of their medical expenses. 2011, Missouri, $40,800,000 Settlement. A 47-year-old woman was driving in a construction zone with her minor sons when an Estes tractor, pulling multiple trailers, collided with her vehicle. The woman died as a result of the collision, one of her sons suffered a traumatic brain injury, and the other sustained multiple fractures including pelvis and facial fractures. The woman's husband and sons filed a wrongful death and personal injury lawsuit, individually and as representatives of the woman's estate. 2010, South Carolina, $35,000 Verdict. The plaintiff suffered cervical and lumbar strains when her vehicle was struck from the rear by an Estes tractor-trailer as she attempted to turn on a city street. The jury awarded $35,000 in damages before finding the plaintiff to be 40 percent negligent. Her award was reduced accordingly to $21,000. 2008, New York, $272,500 Settlement. The plaintiff, a 36-year-old male tow truck driver and diesel mechanic, was slowing to a stop by the side of a turnpike in order to tow away a tractor-trailer that had broken down. An Estes tractor-trailer hit the broken-down truck, pushing the truck into the plaintiff's tow truck, and pushing the tow truck over the highway's median. At the scene the plaintiff refused medical treatment, but visited a walk-in clinic the same afternoon complaining of lower back pain and an unusual sensation in his groin. His urologist diagnosed him with ilioinguinal neuritis, damage to the first lumbar nerve which can cause severe pain. To treat that pain, the plaintiff underwent physical therapy and various pain management techniques, and spent six months out of work. His wife also made a derivative claim for loss of services. 2005, Virginia, $250,000 and $400,000 Settlements. On a public roadway, a dump truck was rear-ended by an Estes tractor-trailer. The dump truck's passenger suffered a ruptured spleen and his claim settled for $250,000. 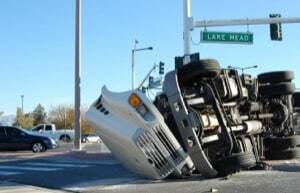 The dump truck's driver suffered vertebral compression fractures, a left inguinal hernia, cervical and lumbar strains, and a forehead laceration. He received a settlement of $400,000. We see a lot of claims against a lot of different trucking companies. Here is a look at the rest of the major players in Maryland. Claims against private carriers like Giant, Costco, Walmart, Pepsi, etc. Our law firm is based in Maryland. Most of the truck collision cases we handle are in the Baltimore-Washington area, but we handle significant injury cases throughout the entire country. If you have been harmed in an accident with an Estes truck and want to consider a lawsuit or a claim for an out-of-court settlement, call one of our lawyers at 800-553-8082 or click here for a free no obligation Internet consultation.